Black, orange, and white butterfly on a green leaf. The slight motion blur of the wings and antennae make the butterfly come alive for me. This image, like the last, was taken in available light at ISO 400, 1/80s, f/2.8. 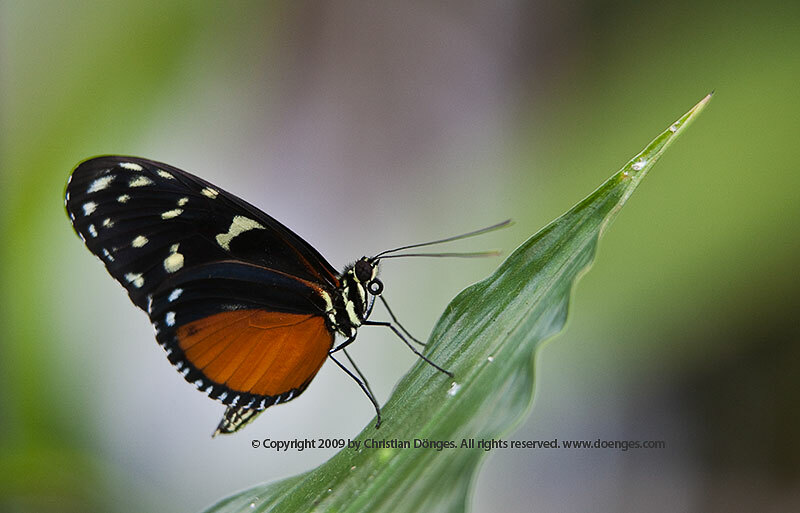 This is a Hecale Longwing. Lovely picture!